The Boston Bikes Annual Report was recently released by Mayor Menino. Guess what? Boston’s biking initiatives have been a success. According to Mayor Menino, the city is already planning to continue growth within the city’s successful program. This program is helping to provide safer and more convenient areas for riding bikes in the city. These programs are increasing ridership and reducing the risks for bicycle accidents in Boston. “Boston Bikes” was launched in 2007 by Mayor Menino. The goal of the program was to make Boston one of the best bicycling cities in the world. Just a few years later, our city received attention for being one of the greatest cities in the country for cycling. Some of the highlights of our programs were the 50th mile of bike lanes that was recently installed along Massachusetts Avenue, the success of the New Balance’s Hubway and the award of a “silver” level bike-friendly area from the League of American Bicyclists. Our Massachusetts bicycle accident attorneys understand that the car may no longer be the king in Boston. Our city is well on its way to becoming one of the best cycling cities in the U.S. We have to remember though, that with more cyclists come more risks for accidents. With the improvements to our roadways and bike lanes, officials are working to make our roadways safer for everyone. But accidents still happen and our roadways require the utmost caution from all travelers. Last July, Mayor Menino launched the Hubway bike sharing program. This program consists of about 60 stations with roughly 600 bikes that were available for use across the city. During its first 12 months in operation, residents and visitors used the Hubway bikes for more than 140,000 trips through the city. Because the program was so successful, a number of our neighboring cities are looking to join in on the Hubway system. Boston is even looking to add more locations in 2012. 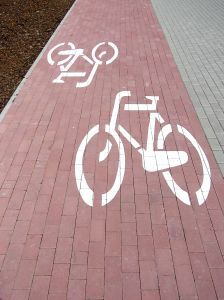 The City of Boston and Mayor Menino have taken some large strides towards improving the city’s biking infrastructure. In 2012, we’ve already seen bike lanes installed on Commonwealth and Massachusetts Avenues. These were the two streets that were previously noted for having the first- and second-highest cyclist accident rates in the city. Now, Boston has over 50 miles of bike lanes, and we’re proud of it. Our city is not done expanding either. In 2012, we can also expect biking to be offered as a fun, accessible and healthy activity for residents and visitors of all ages. The Boston Centers for Youth and Families, Boston’s Community Bike Programs, the Boston city’s Authority, Boston Centers for Youth and Families and a number of community partners were able to donate more than 1,000 bikes to low-income families. These organizations were also provided hands-on bicycle training for nearly 10,000 youths. Lastly, the mayor’s signature bike events were able to bring about 5,000 bicyclists to the streets of Boston. If you or someone who is close to you has been injured or killed in a bicycling accident in Boston or elsewhere in the area, contact Boston Injury Lawyer Jeffrey S. Glassman. Our firm offers free and confidential appointments to discuss your rights. Call 877-617-5333.